Johan de Nysschen is the man who brought the Audi brand to prominence here in the U.S.
Now, Nysschen is the president of Infiniti. Taking what he learned at Audi, Nysschen aims to send Nissan’s luxury brand in a new direction. First on his list: create a technological and emotional flagship vehicle – but not one like the 7 Series, S-Class, or A8. Nysschen believes the world doesn’t need another full-size German luxury sedan fighter. Instead, “I do think the world needs an upscale, very emotional, high-performance luxury sedan from Infiniti that might be a different concept,” Nysschen said in a Car and Driver interview. So where does that leave Infiniti? Apparently, the current thinking is to take the Q70 and place it at the entryway of the luxury market, which would effectively avoid a direct comparison to the German big three. And then add a second flagship above that. We wonder if that’s a wise move, however. Others have tried and virtually failed. Acura’s RL was a relative sales flop, as was the Volvo S80 in the U.S. Only the newly released Cadillac XTS has made some sales waves in the entry-level luxury sedan market and was the best-seller of its kind in the first quarter of 2013. Perhaps more dismaying than the down-market push of the Q70 is the cancellation of the Lotus co-developed Emerg-E range-extended electric sports coupe (photo above). “The world isn’t ready yet for a $200,000 Infiniti,” de Nysschen said. Speak for yourself, de Nysschen. 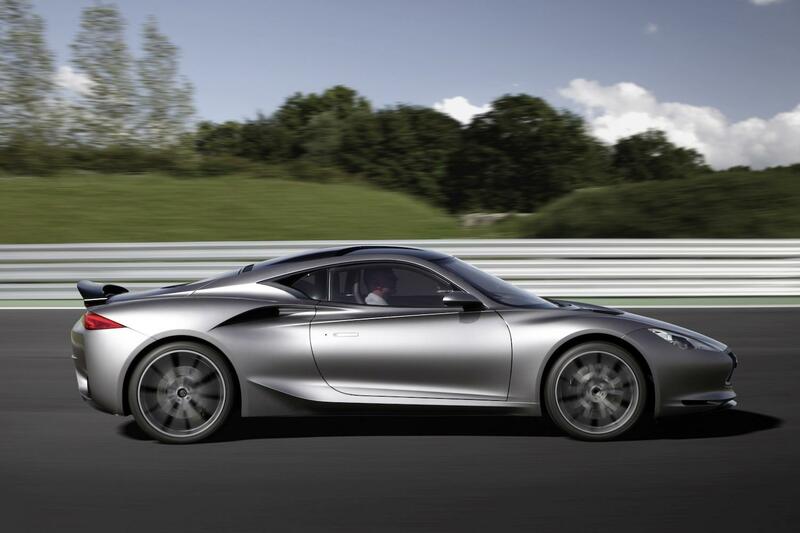 Of all the recent Infiniti offerings, the Emerg-E was by far our favorite despite the fact that even Lotus admitted the vehicle wasn’t the best use of its technology. It’s a bit confusing to us that while Nysschen admits most U.S. customers have moved away from big luxury sedans and onto other vehicles, he also feels Infiniti needs two flagships. Do you think Infiniti could make a name for itself with two powerhouse flagship sedans? Tell us in the comment section below.